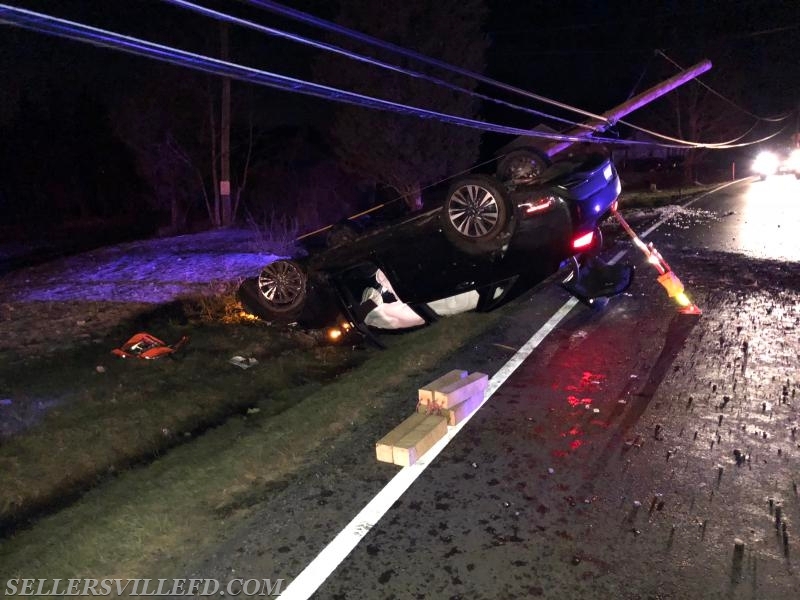 While the Tower was at the West End Fire Company covering for their annual banquet, Engine 27-1 was alerted for a 1 vehicle crash on Ridge Road in West Rockhill Township. 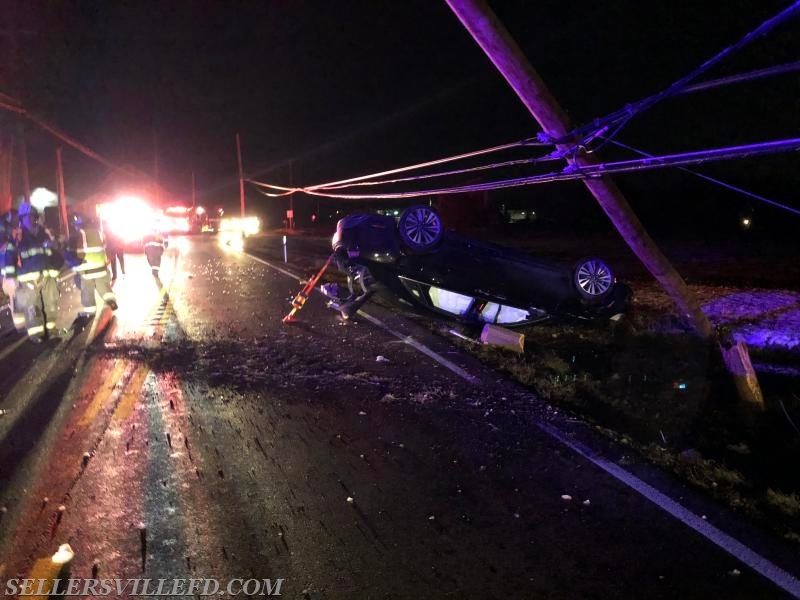 Initial callers were reporting a vehicle that rolled over and struck and pole and was smoking. Units arrived to confirm that report, but had no fire. Scene was turned over to the Pennridge Regional Police.